The results obtained from a recent marigold harvest. 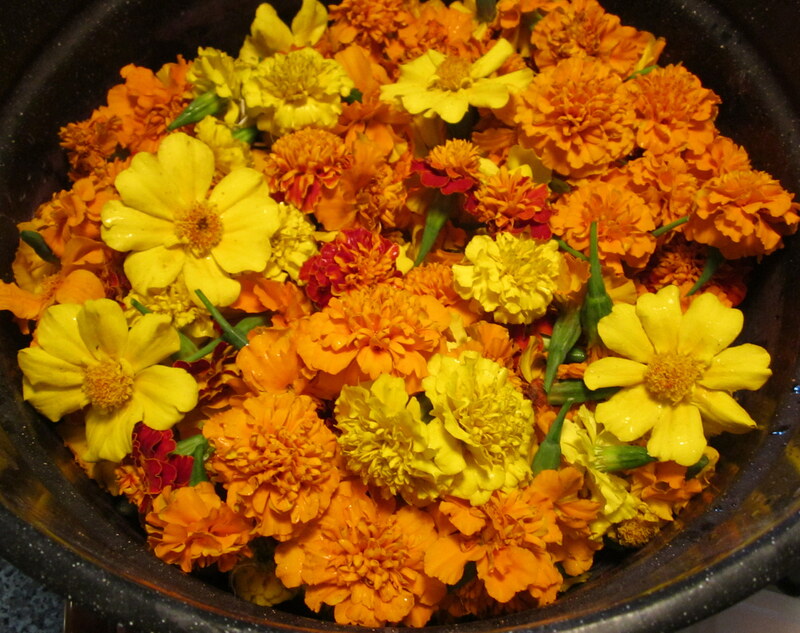 Marigolds are a wonderful dye plant- easy to grow and prolific bloomers. Not ready to dye— harvest fresh blooms and freeze for later use. 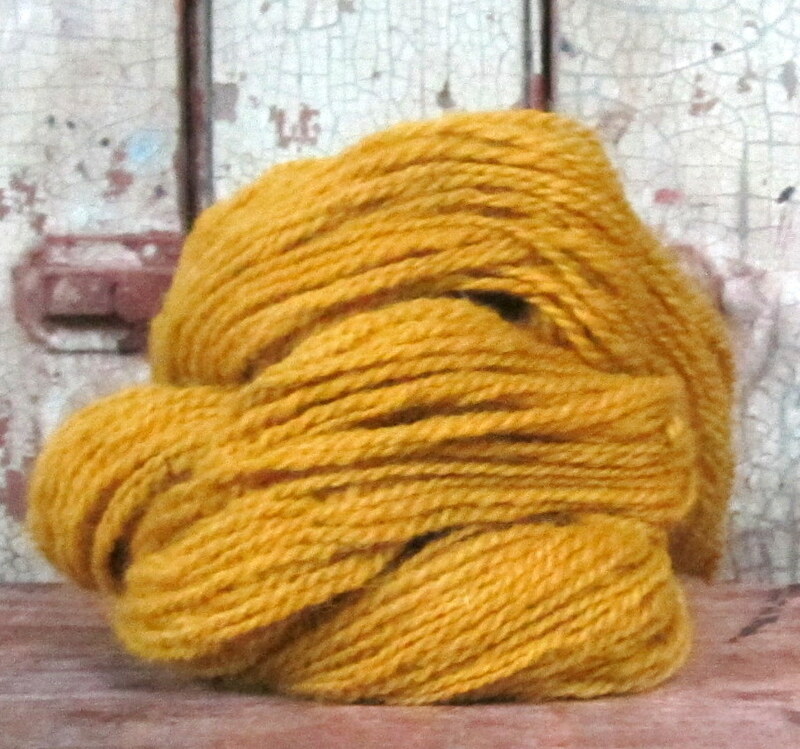 This yarn is our alpaca combined with locally sourced ramboulliet . 150 yard skein. Thank you for sharing. 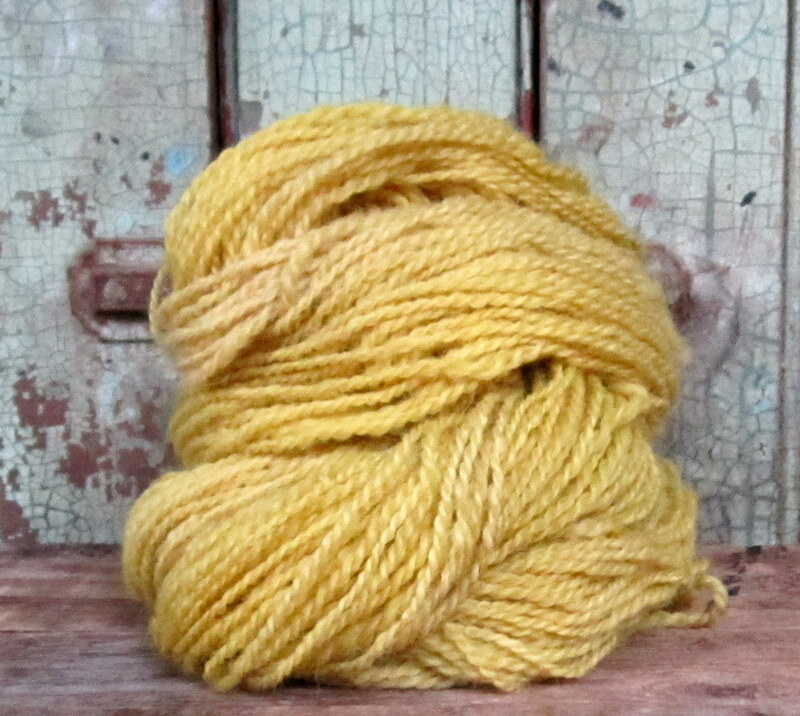 I’ve got many marigolds in my yard and might try to dye some fiber.